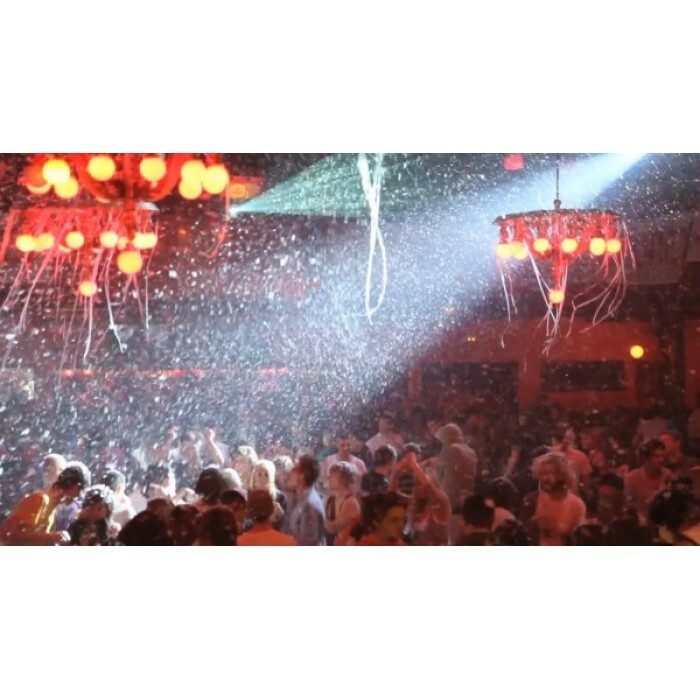 MINIFLOW is the small blowing machine thought to provide a continuous shooting effect of confetti, streamers and snow on your stages or indoor events. 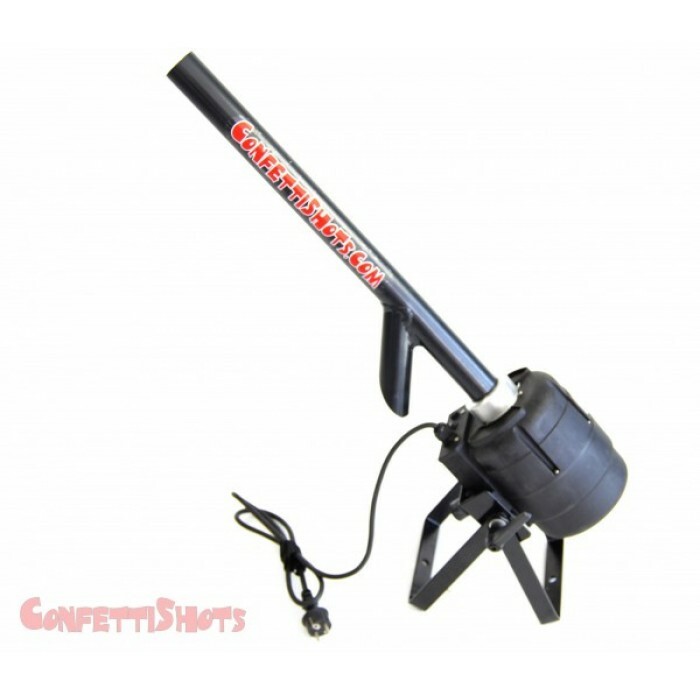 Ideally for carnival floats or similars, it shots any kind of confetti or streamers at 10 meters !! You can also throw some kind of sweets or other small gadgets. 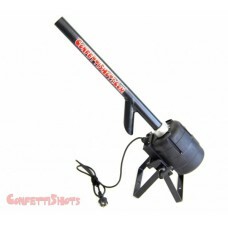 Key features: - Long Range: 10 meters shooting distance with rectangular confetti !!! - Very low consumption (900 W) with a high performance - Extremely easy operating system. PLUG & PLAY. Just plug in a 220-240V. 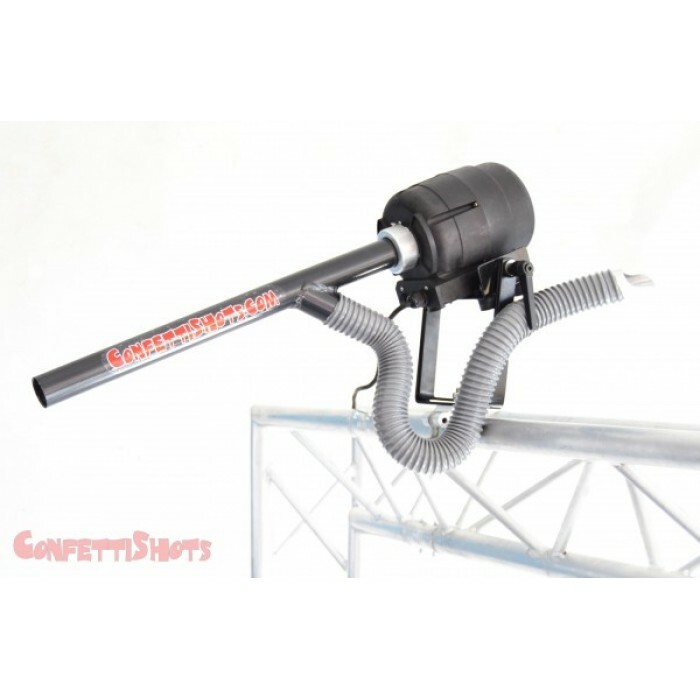 socket, and ready to use - Flexibility: The machine can work either from the ground, fixed to a wall or even hung on truss or a stand thanks to its multiple anchor points. 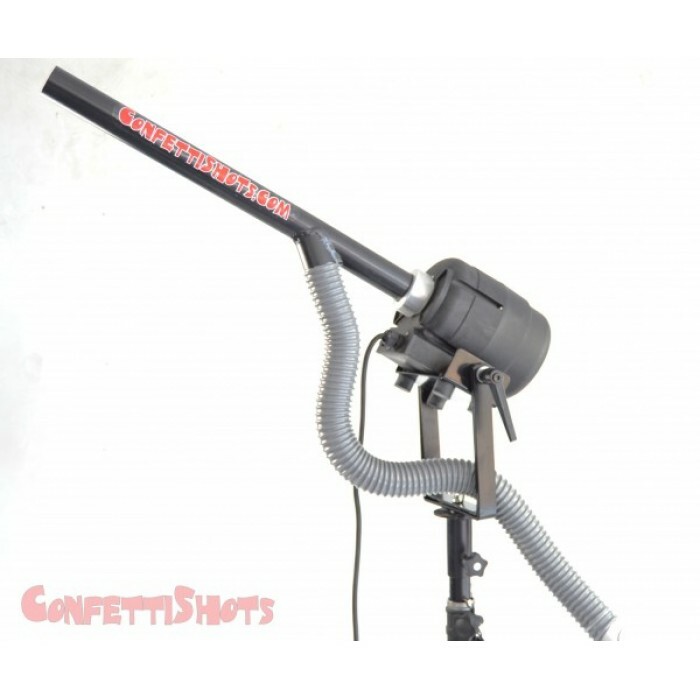 - You can connect a vaccum hose to blow your confetti, streamers, or other small gadgets. - Handy: Only 12 kgs and 67x34x20 cm. 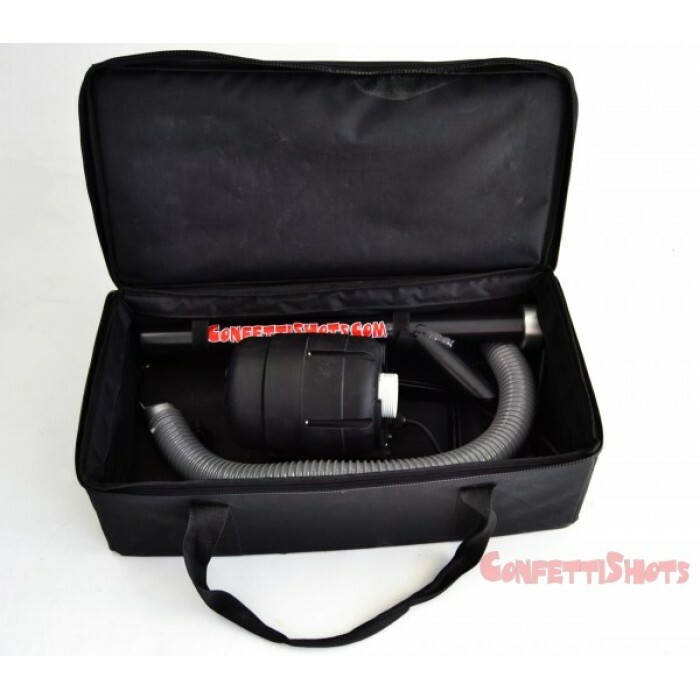 (the whole set inside the nylon bag) The Mini-flow is delievered with a heavy duty nylon carry bag. We have also available a stand and stand adaptor to hold it.